The old covered bridge across the Chicopee River from Springfield to Ludlow, taken from the Springfield side in 1897. Photo courtesy of the Hubbard Memorial Library. Alternately called Putts Bridge, this spot at Wallamanumps Falls on the Chicopee River has long been the site of a bridge connecting Springfield and Ludlow. The early accounts are somewhat vague, but the first bridge was built in either the late 1780s or early 1790s. Either way, a bridge was definitely here by 1794; prior to that, Ludlow’s 500 or so residents would have to get to and from Springfield by fording the river, a task that I can’t image was particularly pleasant or safe. The bridge was constructed by Eli Putnam, hence the name Put’s bridge. 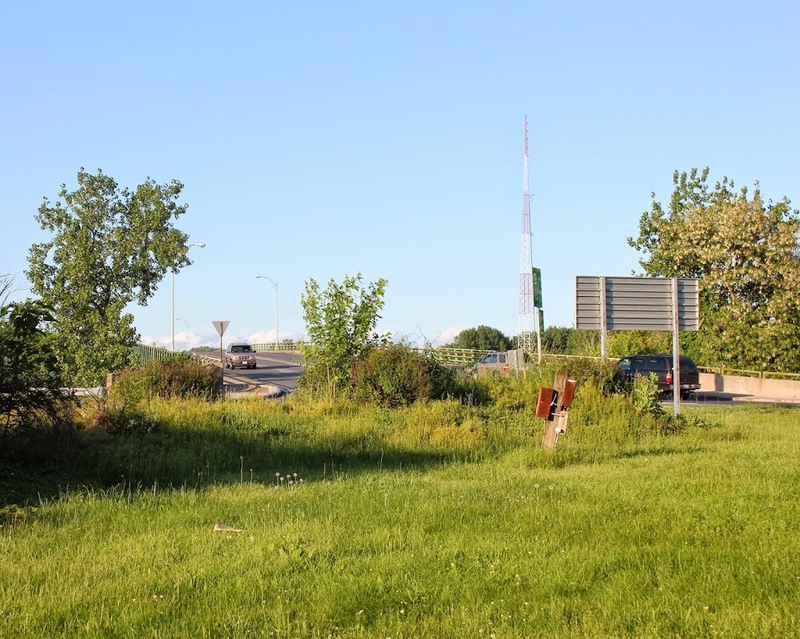 However, bridges here didn’t seem to have much of a lifespan; in the next 30 years, three additional bridges would have to be constructed on this site. 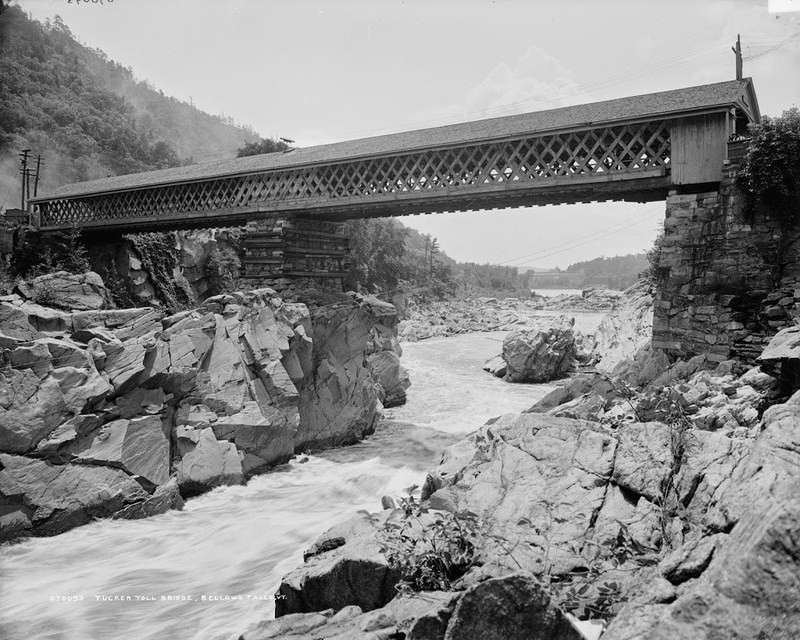 The 1822 bridge must have been different, because it lasted until this 1897 photograph. By this point, though, the 75 year old bridge was starting to show its age, and the next year it was replaced with a new iron bridge. 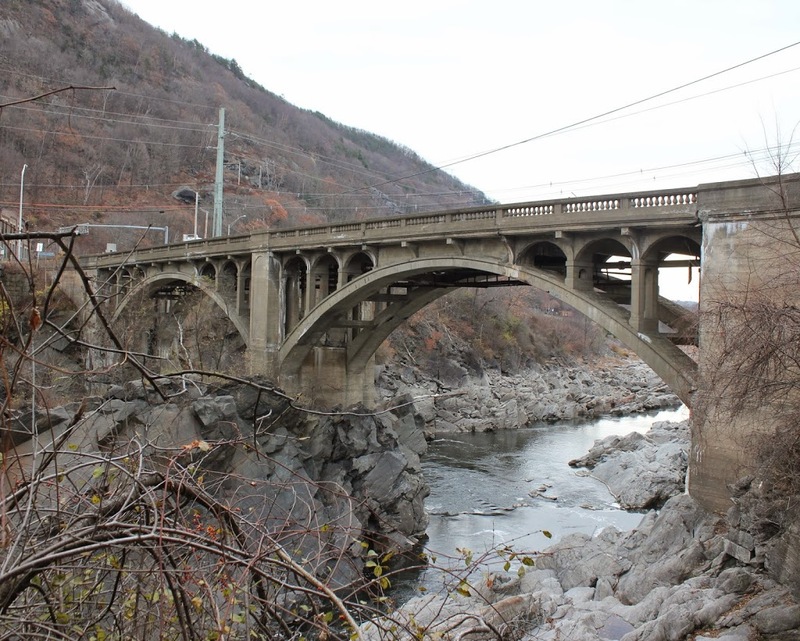 However, the replacement didn’t even last half as long as its predecessor before it was replaced by the current bridge in 1930. 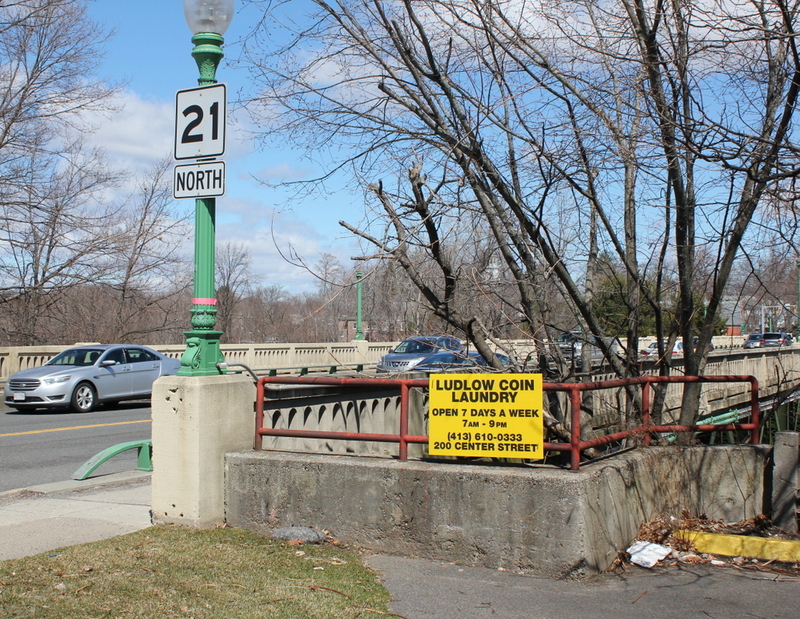 Today, this concrete and steel bridge carries Route 21 across the river, and it still serves as the primary connection from Ludlow to Springfield. The one difference in the location of these two photos is that the covered bridge was at a substantially lower elevation, so the 1897 photo would’ve actually been taken partway down the hill toward the river. I could’ve recreated the scene from here, but I chose this location since it represents what the surface of bridge today looks like, rather than just the underside of it. 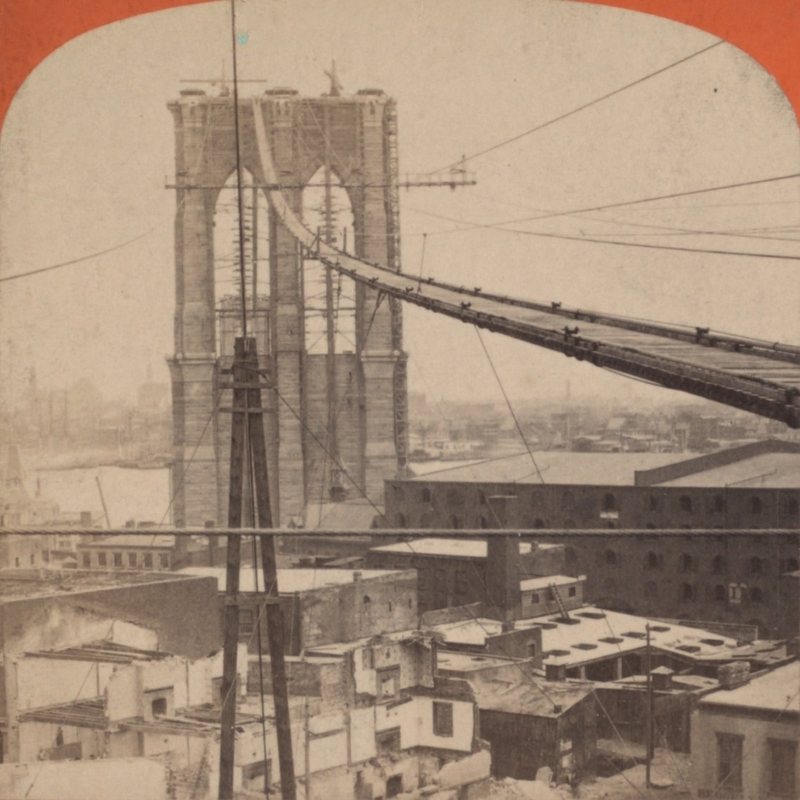 The Brooklyn Bridge, before the construction of the walkway, probably taken around 1880. Photo courtesy of the New York Public Library. 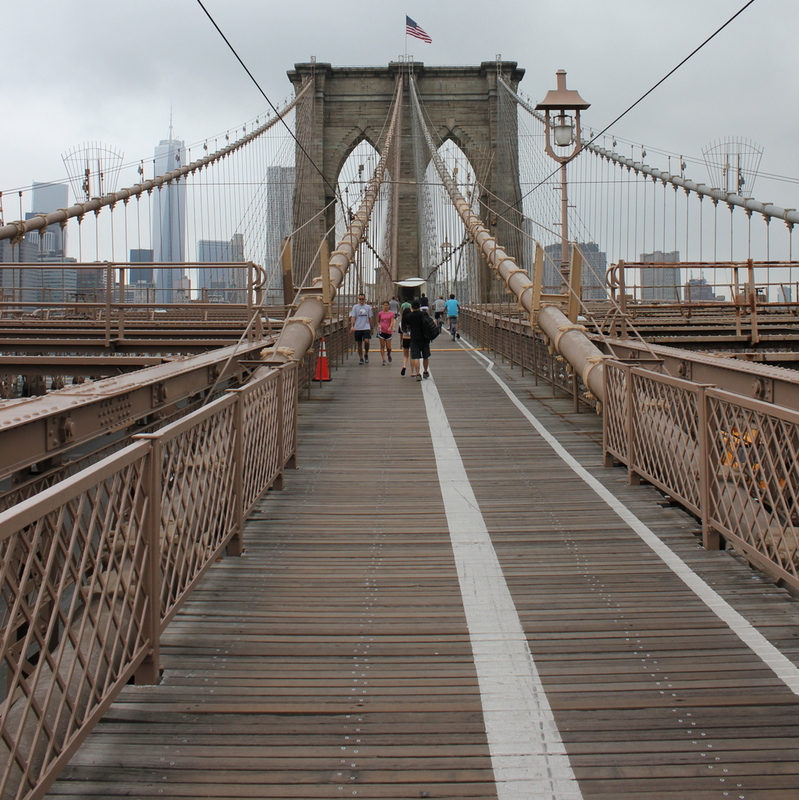 The Brooklyn Bridge opened in 1883, but before the roadway could be built, the towers were connected by a narrow walkway. Although intended for the workers, it was also open to the public, and was a popular destination, to the point where bridge management had to start issuing passes in order to cross. Of course, this was in the days before OSHA regulations and other safety measures, but it actually wasn’t as dangerous as it looks. Some publicity-seeking daredevils even jumped off of it and into the East River, with varying success rates. Upon completion of the bridge, the present-day walkway opened, which can be seen around the turn of the last century in this post. Thankfully, modern-day bridge pedestrians need not balance themselves on a narrow catwalk, nor ascend and descend the two 272-foot tall bridge towers in order to cross the river. Another view of the Tucker Toll Bridge, from the downstream side, probably around 1900 Image courtesy of the Rockingham Free Public Library. This is another view of the bridge across the Connecticut River at Bellows Falls, seen from the Vermont side facing upstream. 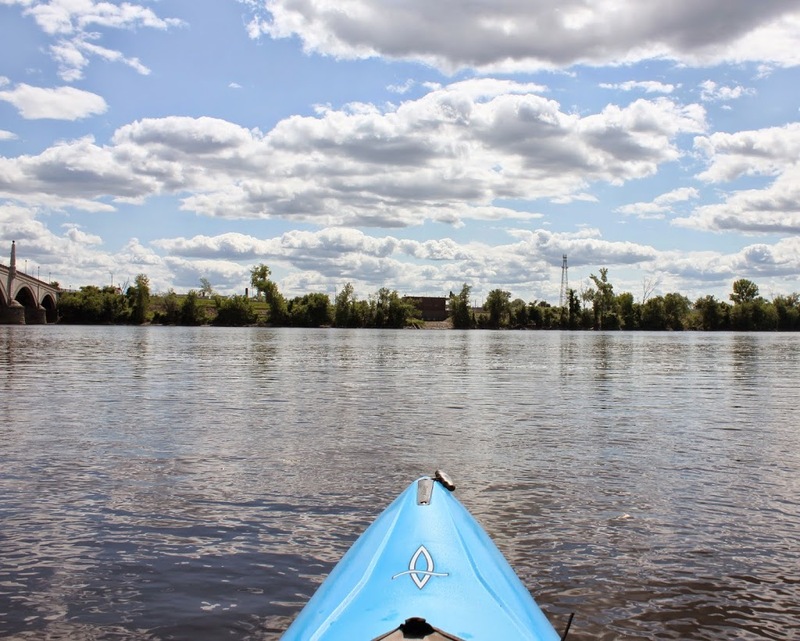 As explained in this post, this was the site of the first bridge across the Connecticut River when a primitive bridge was built across here in 1785. The bridge in the 1907 photo was the second on the site, and opened in 1840. This bridge, known as the Tucker Toll Bridge, was replaced by the current concrete arch bridge, the Vilas Bridge, in 1930. However, the bridge has been closed since 2009, and as of 2018 it is unknown what will happen to it. This angle gives a good view of the gorge at Bellows Falls, where the Connecticut River drops 52 feet through a narrow gorge. It was originally known as the Great Falls, and an early stagecoach line that ran through here advertised that passengers would be able to “view one of the most stupendous works of Nature.” Today, much of the river’s water is diverted into a power canal just above the falls, so it isn’t as dramatic as it would have been to an 18th century traveler, but it is still an impressive view looking down from the top of the gorge. The Tucker Toll Bridge over the Connecticut River at Bellows Falls, Vermont, around 1900-1910. Image courtesy of the Library of Congress, Detroit Publishing Company Collection. However, here in Bellows Falls the width of the river and the rocky outcroppings meant a shorter bridge and no need to build piers in the river. 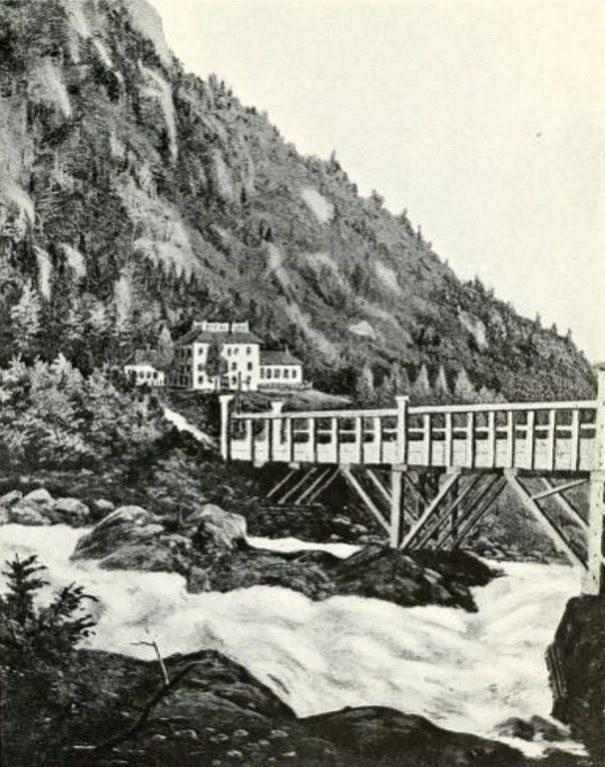 As a result, the first bridge across any part of the Connecticut River opened on this spot in 1785, connecting New Hampshire and Vermont and facilitating trade from New Hampshire to Montreal and other northern destinations. At the time, Vermont was actually an independent nation, which I suppose technically made the first bridge an international border crossing. This first bridge was uncovered, which meant the wood deck and structure was exposed to the elements, so by 1840 it was in need of replacement. The new bridge, which is the same one in the first photo here, was built directly over the old one, about 15 feet above it, which allowed the old bridge to continue to be used even as its replacement was being built. The 1840 bridge became known as the Tucker Toll Bridge, named after the family who owned it for many years. It remained in the hands of private owners until 1904, when the towns of Rockingham and Walpole purchased it and made it free for travel. 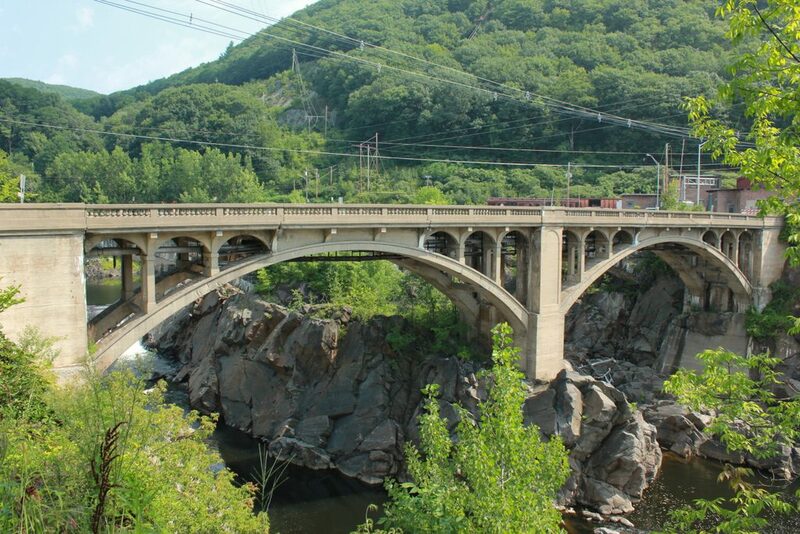 This bridge was, in turn, replaced by the current concrete arch bridge in 1930. However, it has deteriorated over the years, and was closed in 2009 because of safety concerns. At this point, it remains to be seen what will happen to the bridge. 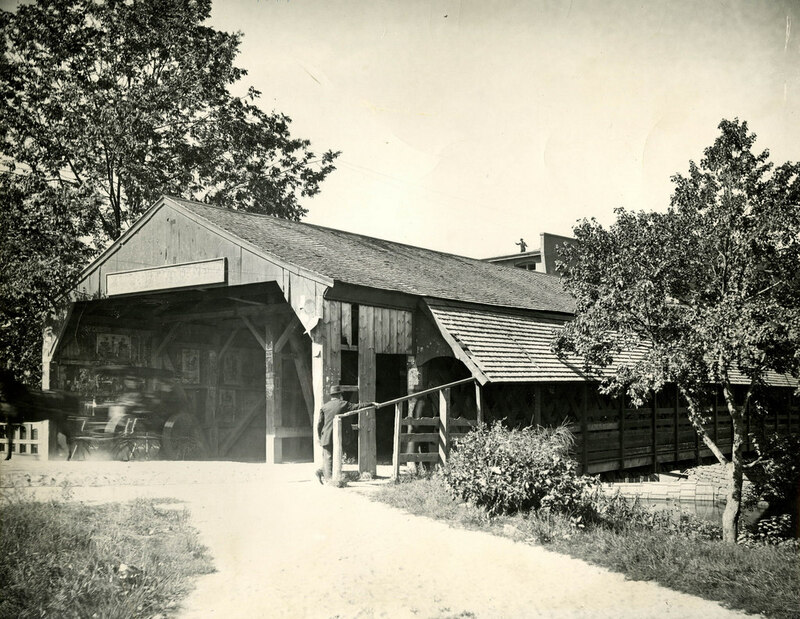 Springfield’s old covered bridge, around 1908. Image courtesy of the Library of Congress, Detroit Publishing Company Collection. This is the first then & now recreation that I’ve done from a watercraft. The first photo was taken from the riverbank, but because of its relatively inaccessible location today, I decided the water would be a better option. Plus, the first photo shows some river recreation in the foreground, so I figured it would be appropriate to include a modern-day equivalent. The building in the foreground of the first photo is the floating bathhouse for one of Springfield’s boat clubs, with a variety of small boats in the water next to it. Today, Springfield’s waterfront is far more deserted, although there are still several boat clubs on the river nearby. The bridge in the photo is Springfield’s Old Toll Bridge, which is featured in this post, seen from the other side of the river. Note that in the old photo in that post, the same boathouse is visible in the distance. 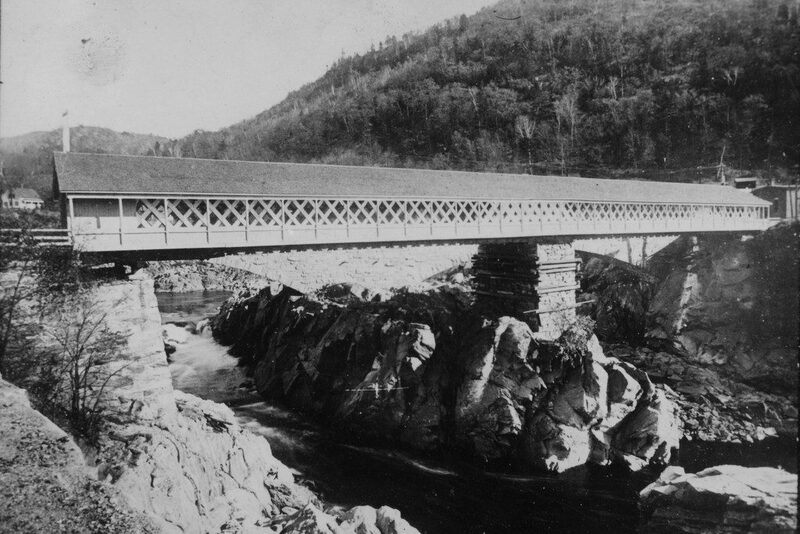 The old covered bridge was replaced by the Memorial Bridge in 1922. The Memorial Bridge was built a couple blocks downstream, and it is barely visible on the far left of the 2014 photo. The view looking east over the North End Bridge from the West Springfield side of the river, around 1900-1910. Image courtesy of the Library of Congress, Detroit Publishing Company Collection. 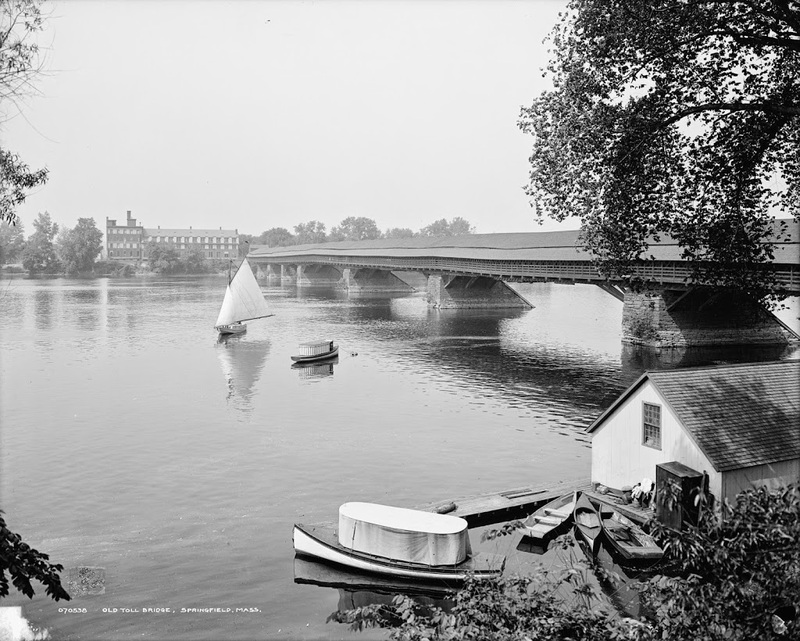 The North End Bridge was the second road bridge to be built across the Connecticut River in Springfield, and opened in 1877. Both views show the bridge looking east from West Springfield toward Springfield. 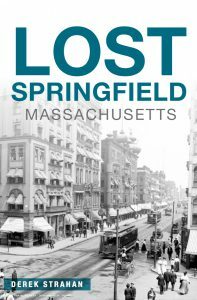 This bridge was particularly significant to West Springfield residents, as it directly connected downtown West Springfield to the north end of Springfield and, more importantly at the time, Springfield’s railroad station. 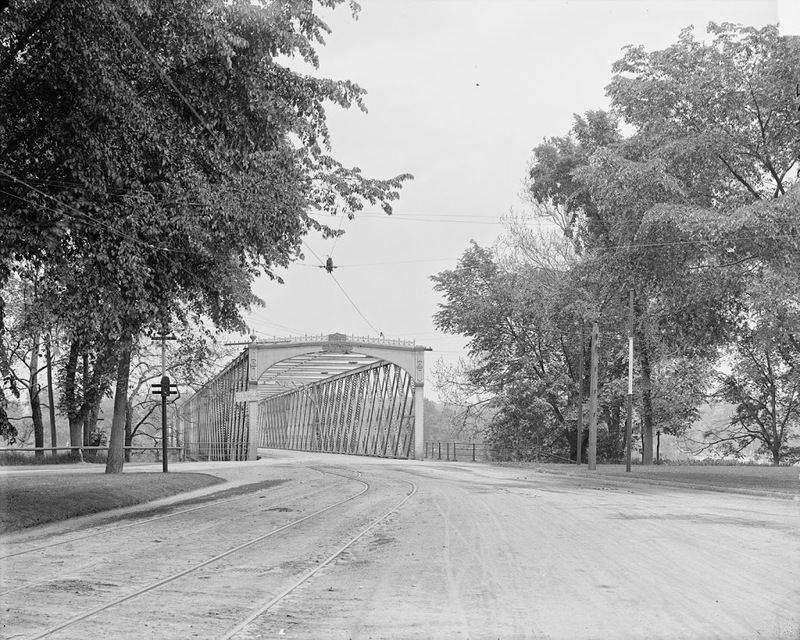 The old bridge was described by King’s Handbook of Springfield in 1884 as being “one of the handsomest highway bridges in the United States.” In 1923, though, it caught fire and was completely destroyed. 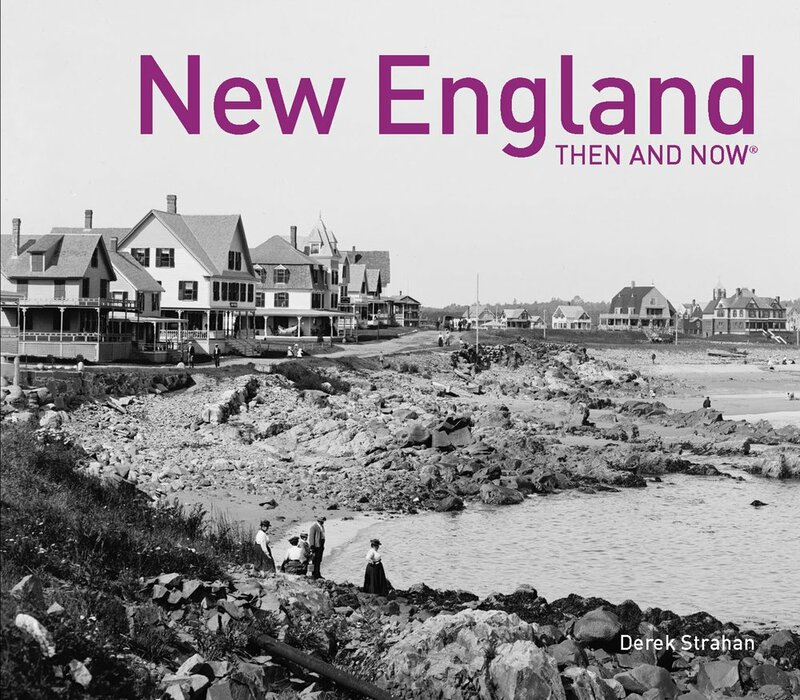 Two years later a new bridge was completed, and it remains in use today, carrying US Route 20, the longest road in America, over the Connecticut River. The road on the far left-hand side just before the bridge in the first photo is Riverdale Street; it didn’t look like much at the turn of the last century, but today it is part of Route 5, and is a major north-south route through the Springfield area. It does not actually pass through this intersection anymore, though. The 2014 photo was taken from the center of a rotary, which was built atop a tunnel for Route 5. As an incidental historical note, there is a sign on the bridge in the first photo, which is barely legible. In higher-resolution copies of the photo, it reads: “No person shall ride or drive a horse or mule on any part of this bridge at a rate faster than a walk under a penalty of two dollars for each offence.” Today, the bridge traffic usually travels at a significantly higher rate of speed than a walk, except during rush hour.